Learning Aluminium is supported by businesses and organisations representing the UK aluminium industry. In addition we are grateful to the following businesses for their sponsorship of the Aluminium Life Cycle resources. Our membership comprises the full spectrum of the aluminium packaging ‘loop’. Alupro represents the industry to policy makers and opinion formers in the UK and Europe. We also run campaigns in partnership with other materials, local authorities and leading brands to inspire and encourage people to recycle more, wherever they are. We are delighted to be the project managers for Learning Aluminium and the Alu D&T Challenge. Alupro was founded by, and has been supported by, the aluminium industry, for 25 years. i2r Packaging Solutions manufactures a comprehensive range of wrinkle wall and smooth wall aluminium foil containers used throughout the food industry, providing high quality, lightweight, robust products for many leading consumer brands. i2r’s experienced development team focuses on custom designed innovative tray solutions developed in conjunction with major retailers and food processors. Together with their parent company Contital S.r.L. i2r supply the UK, Eire, Continental Europe, Middle East, North America and Asia. With the environment at the forefront of our minds, i2r produces unique industry products that use less material achieved through intellectually protected designs. Novelis Inc. is the global leader in aluminium rolled products and the world’s largest recycler of aluminium. Novelis Inc. is the global leader in aluminium rolled products and the world’s largest recycler of aluminium. The company operates in 11 countries, has approximately 11,500 employees and reported $11.1 billion in revenue for its 2015 fiscal year. Novelis supplies premium aluminium sheet and foil products to transportation, packaging, construction, industrial and consumer electronics markets throughout North America, Europe, Asia and South America. The company is a subsidiary of Hindalco Industries Limited, part of the Aditya Birla Group, a multinational conglomerate based in Mumbai, India. The company operates in 11 countries and has approximately 11,500 employees. Novelis supplies premium aluminium sheet and foil products to transportation, packaging, construction, industrial and consumer electronics markets throughout North America, Europe, Asia and South America. 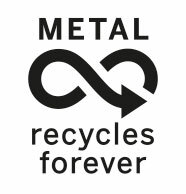 In the UK Novelis operates Europe’s largest dedicated aluminium drinks can recycling plant, in Warrington, Cheshire which has the capacity to recycle every drinks can sold in the UK every year. Unilever is one of the country’s leading suppliers of Food, Home and Personal Care products with 40 UK brands spanning 14 categories. Our products are present in 98% of homes in the UK and are used by over 2 billion people globally on a daily basis. Through the Unilever Sustainable Living Plan (USLP), our ambition is to double the size of our business, whilst reducing our overall environmental footprint and increasing our positive social impact. We are committed to decoupling growth from environmental impact and helping more than a billion people take action to improve their health and well-being, enhancing the livelihoods of millions of people by 2020. In recognition of this, Unilever was ranked number one in its sector in the 2014 Dow Jones Sustainability Index, attained the highest environmental score of 5 in the FTSE4Good Index, led the list of Global Corporate Sustainability Leaders in the 2014 GlobeScan/SustainAbility annual survey for the fourth year running, and ranked the most sustainable food and beverage company in Oxfam’s Behind the Brands Scorecard.